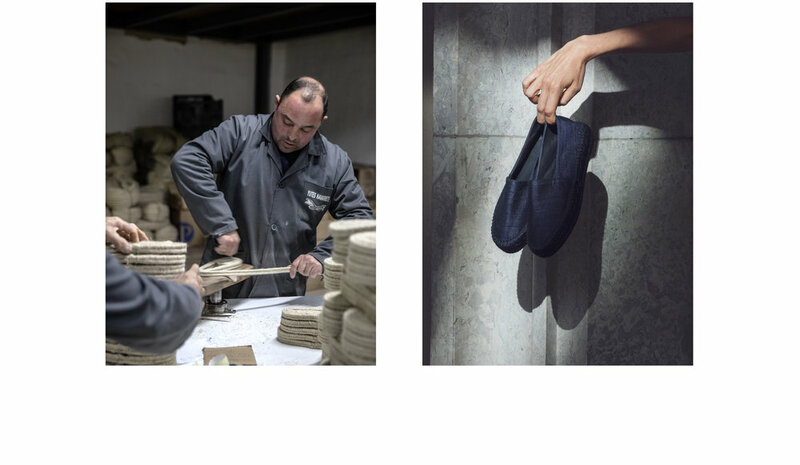 Ropewalk Studio presents a collection of handmade espadrilles crafted in Spain. A classic shoe refined in design and materials. Updated for a casual chic look. The collection presents a style for every occasion. Understated formal as well as elevated essential – a simple statement for anyone with a sense of style. The modern Ropewalk Studio classic espadrille is a statement of classic, timeless and relaxed elegance. This is a pre-launch collection of spring 2018.